A nonprofit grocery store offers healthy foods and a boost of self esteem for less fortunate customers. Founder Kurt Vickman lets people volunteer to work in his Good Grocer store in Minneapolis, Minnesota for discounts on food. Every item in the shop is marked with two prices - one for regular customers, another, 25% lower price for people who volunteer to work in the store. Volunteers keep the prices in check by cutting labor costs - and some people donate their time without taking the discount, so the money goes back into the store. 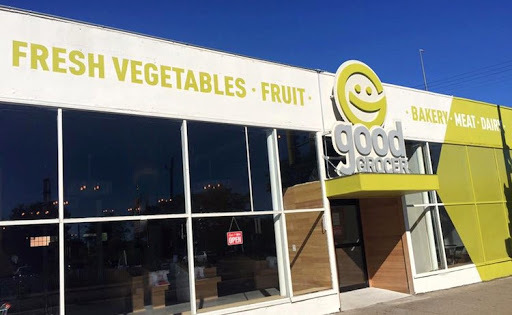 Good Grocer has an emphasis on fresh produce to promote healthy diets. While it doesn't fit the pattern of modern food co-ops, its volunteer business plan is similar to early model cooperative stores. The store has about 375 members but Vickman says most customers are non-members who pay the higher prices to help keep costs low for other people in the community. Vickman came up with the idea while running a food bank and noticing how difficult it was for people who came there to ask for help. "Because people weren't able to contribute something, whether it's their time or money, I think it eroded people's dignity and : sense of self-motivation," Vickman told the Star Tribune. Allowing people to work gives people back their dignity and the self-motivation is easy to see. Volunteers provide 75% of Good Grocer's labor and community leaders say they've seen neighbors take a "sense of ownership" in the store by donating their time.